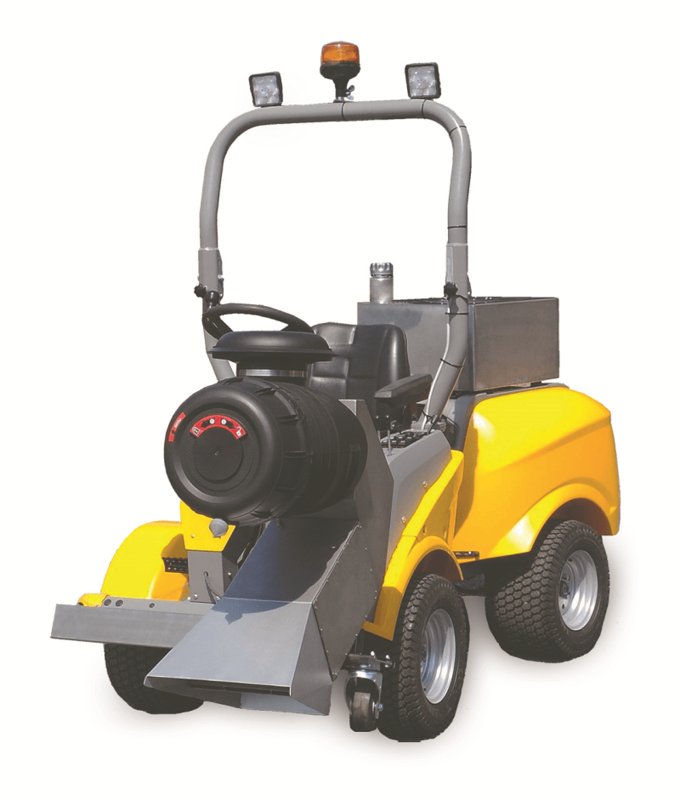 W-JET, WAT1: Self-propelled RoadDryer, with the M1 in lift fit with telescopic boom for achieving up to 80 cm wide side slide for more distance to passing objects or traffic. The 4WD STIGA TITAN is driven by a 3-cyl 17,4 kW Yanmar diesel engine and has sufficient electric power supply the M1 jet system. Electric auto-pilot for speed control and transport speed forward and reverse up to 20 kph. Fuel tank options from 95 to 220 Litre, to work 2 -4 hours drying. W-JET Type WATT can run single or several M1’s, in rack in-line, or side by side. Option: WAT2 with Cabin and air condition on STIGA TITAN 740DCR, 33HP diesel engine.